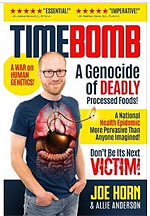 About 80% of all Americans are carrying a 'Time Bomb' within their body, a genuine medical emergency. BUT, very few people realize this hidden disaster awaiting to be unleashed. Masses of pople will soon be developing diseases such as Chronic Illness, AutoImmune diseses, or even Cancer. Todays hidden reality is that people are being poisoned every single day without their knowledge and their consent. A health epidemic -- brought on by Industrialized Foods -- is destroying our genetics and immune systems, through a combination of GMO Foods, carcinogenic materials and life-threatening materials commonly found in today's processed groceries. BUT, NOW WE ARE FACING A 'TIME BOMB'! This expose' of the year includes incredible insights on how to reverse chronic illness without following a strict diet. 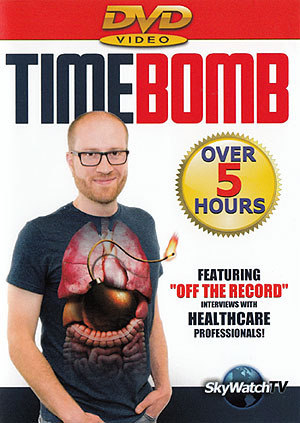 'TimeBomb' is your most important field guide to avoid the greatest health disaster the world has ever seen. 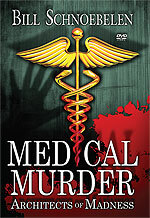 COMBO OFFER: Book 'TimeBomb' + DVD 'Medical Murder' - You Save $20! 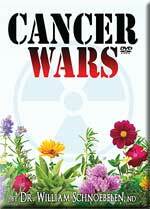 Cancer Wars - New 2-Disk DVD Set by Bill Schnoebelen, N.D.